Protein is vital to hundreds of the body's most basic biological functions. Unfortunately, many individuals cannot tolerate some of the natural compounds found in whey, egg, soy and other protein sources due to their unique food allergies. NOW® Sprouted Brown Rice Protein Powder is ideal for those who live with allergies and sensitivities to these ingredients. 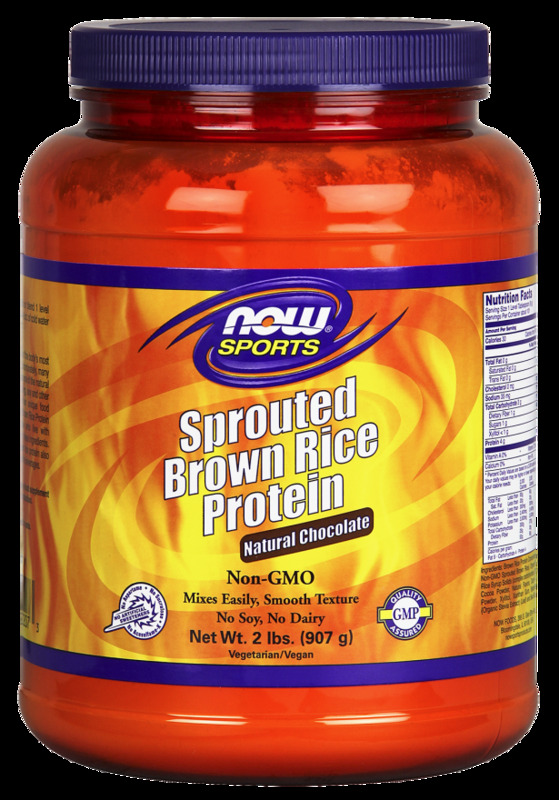 This natural chocolate brown rice protein also mixes easily into your favorite beverages. Mix or blend 1 level tablespoon (9 g) daily into 4-6 oz. of cold water or your favorite beverage. Ingredients: Brown Rice Protein Concentrate (from Non-GMO Sprouted Brown Rice), Organic Brown Rice Syrup Solids (complex carbohydrate), Organic Cocoa Powder, Natural Flavors, Dutch Cocoa Powder, Xylitol, Xanthan Gum, BetterStevia® (Organic Stevia Extract) (Leaf) and Sea Salt.